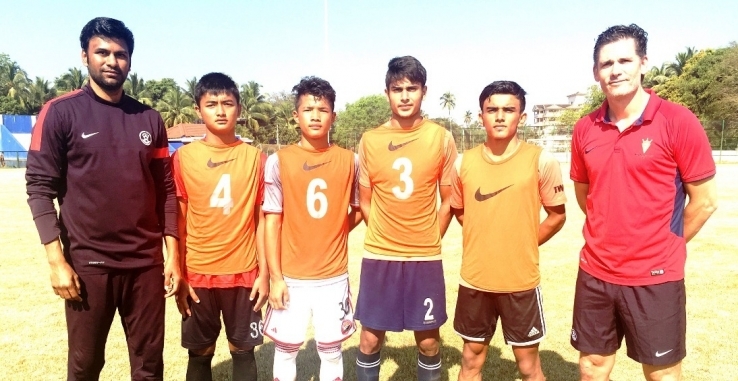 Nicolai Adam, Head Coach of India U-17 World Cup Team along with Scouting Director and former Indian International skipper, Abhishek Yadav selected four boys for the U-17 World Cup squad post the trials. The selected four boys will join the rest of the squad after the team comes back from their trips to Brazil and Russia where they will feature in different tournaments. The trials were conducted in Kalyani, New Delhi and Goa where 140 players from the 55 participating teams of U-16 Youth League took part.